I have been using EFT , Emotional Freedom Techniques or ´tapping´ as its widely known for over twelve years now. Let me tell you how I was introduced to these techniques and how I came to use them for animals. All this time ago I had a double brain haemorrhage and was left with symptoms of nausea and dizziness that were so debilitating I couldn´t work, lost my confidence and remember thinking is this it? Doctors could only give me medication that was so powerful it put me to bed. Having used alternative methods before I searched for options and found EFT. I used it myself with a small handout and worked on my two issues. Two days later, I had recovered from the symptoms and the results of EFT still amaze me to this day. 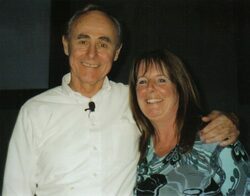 I have Gary Craig to thank for this and as the Founder of EFT, his willingness to share the techniques. I started learning EFT on Gary Craig's original program organised through the eminent Patricia Carrington and studied with Dr Alexander in Spain who was a colleague and friend of Gary Craig. For the ensuing years I witnessed what some would consider miracles happen with EFT and my years of study continued. 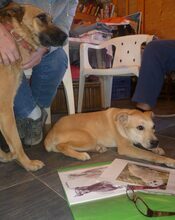 Today as a Master Trainer of Trainers with AAMET International association I still love teaching and sharing EFT.Living in Spain with my dogs and in the middle of nature on a finca, I believe developed my skills with animals. 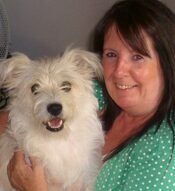 Initially Lucy shown here was my teacher, one of our inherited stray dogs. 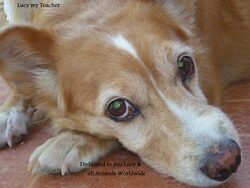 Lucy was a special dog who would let me practice ´tapping´on her which some dogs do not enjoy. 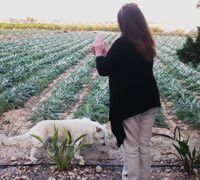 I learned a lot from Lucy, she was my teacher as I watched what happened with her when tapping, her reactions and changes. 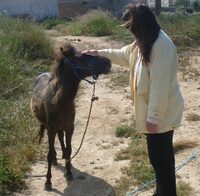 Then I would tap with animals when walking such as the horse above who was frightened by fireworks and observe the results. With hindsight I was doing my own research with EFT and animals. So for many years I worked with birds, wildlife and my own pets and even insects and a lizard or two. 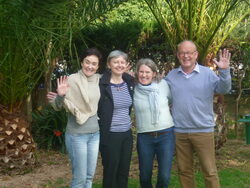 Then my life changed dramatically when teaching EFT with a lovely small group on the beautiful island of Mallorca in March 2013. This would change my life forever. I call it ´The Message'. This made so much sense! If you would like to read more about this life changing message here. 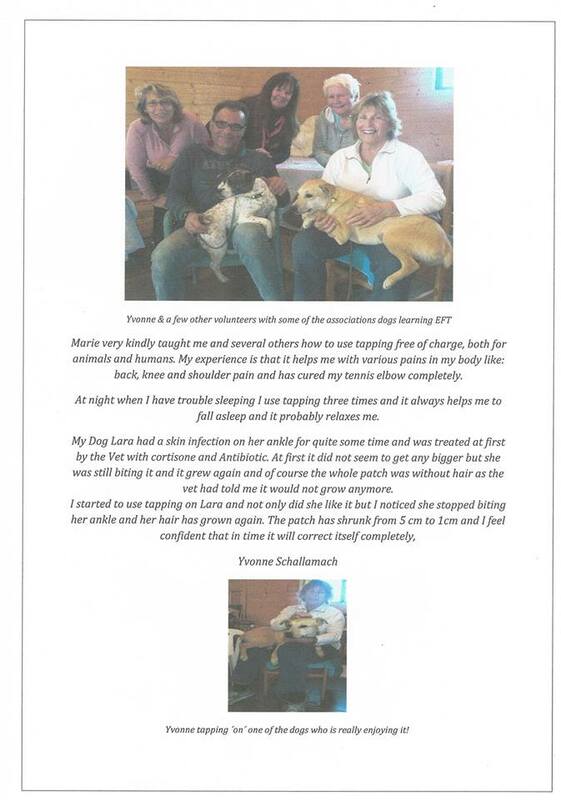 At that time as Co Director of the AAMET Training Board and a Board member of the Executive Committee, I stepped down after completing my work commitments and started doing whatever I could to help animals more. 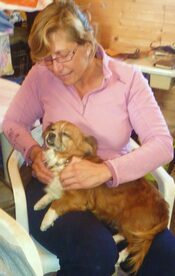 I started teaching some local associations who homed abandoned dogs and taught them how to use EFT for their dogs and for themselves. Whilst this was very rewarding and you can see a testimonial here I knew there was a bigger picture here that I had to persue. 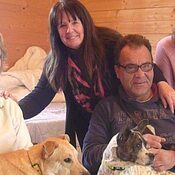 Hence I founded the Animal Energy World Conference to bring like minded speakers together who are experts in their own subject from animal communicators, energy workers, Bach remedies and animals, sound healing, holistic vets and many more. I love the personal connection of the Conference meeting lovely delegates both old and new and inspiring speakers, we feel like one big family.